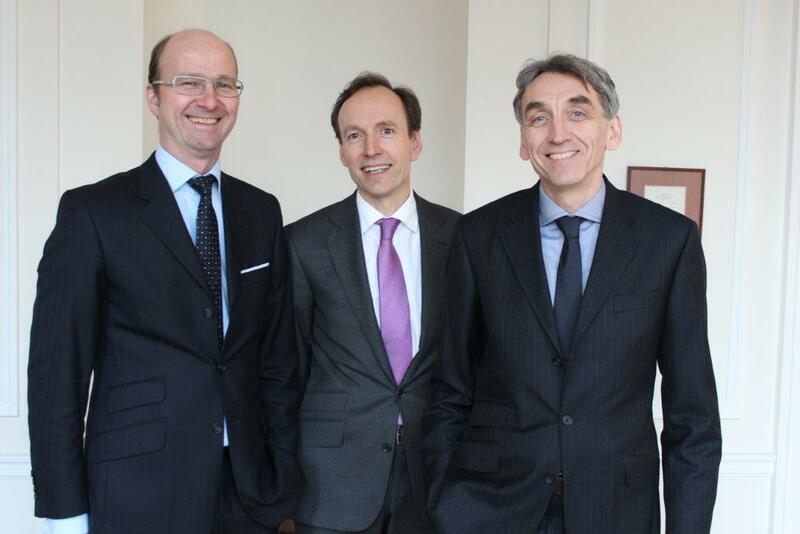 The managing partners of Centum Capital stand for the values of continuity and professionality. We combine business experience with corporate finance know-how. All the partners come from international industrial and service companies and have been working together as a team since the Nineties. Before establishing Centum Capital in 2001 our team executed numerous transactions all over Europe for a technology holding. Here the team succeeded in launching a subsidiary onto the stockmarket. Prior to that, the partners worked with corporate development and M&A responsibility in a fast growing division of the Thyssen Group (today ThyssenKrupp), one of the largest industrial companies in Europe. Since 1997, the team has executed more than 50 transactions with a value of between EUR 5 and 100 million, on both the buying and selling side. A founding partner of Centum Capital. Previously as M&A/Business Development project manager of a quoted technology holding company he was involved in the acquisition of European technology companies. In 2000 the IT/eBusiness division of this holding was launched with great success onto the stockmarket. Marc Wersig also joined the young telecommunications division of Thyssen Group (today ThyssenKrupp) in 1998 where he executed acquisitions. Prior to that he worked at a media services provider in the Bertelsmann Group in the Business Development division. While completing his studies he also worked at BASF Coatings and the coating company BRILLUX Farben + Lacke. Marc Wersig graduated from Wilhelms-Universität in Münster, specialising in Marketing and International Management and holds a Master of Laws (LL.M.). In addition, he is a bachelor of commerce for wholesale and foreign trade. A founding partner of Centum Capital, Harm Schnakenberg previously led the M&A and Business Development division of a quoted technology holding where he was responsible for the acquisition of technology companies Europe-wide. In 2000 the IT/eBusiness division of this holding was launched with great success onto the stockmarket. Harm Schnakenberg joined the young telecommunications division of the Thyssen Group (today ThyssenKrupp) in 1997 where he executed acquisitions for the Thyssen Group. In parallel he was chief executive of an subsidary company of Thyssen Telecom. From 1993 to 1997 Harm held the position of strategy and organisation consultant for Mummert Consulting AG, a leading German management consultant. Harm Schnakenberg graduated in business administration, specialising in Finance Management and Corporate Finance, in Hamburg (GER) and Newcastle upon Tyne (UK). He is a qualified bank executive, too. Frank Porges is a founding partner of Centum Capital. Previously as M&A/Business Development project manager of a quoted technology holding company he was involved in the acquisition of European technology companies. In 2000 the IT/eBusiness division of this holding was launched with great success onto the stockmarket. Frank joined the young telecommunications division of the Thyssen Group (today ThyssenKrupp) where as early as 1998 he executed acquisitions. Prior to that he gathered his first project experience as management assistant at the energy supplier HEW (now Vattenfall). Other positions in his career include E-Plus, Philips (semiconductors) and the Institute for Experimental Physics in Hamburg. Frank Porges graduated in business administration in Hamburg (GER) and Newcastle upon Tyne (UK).